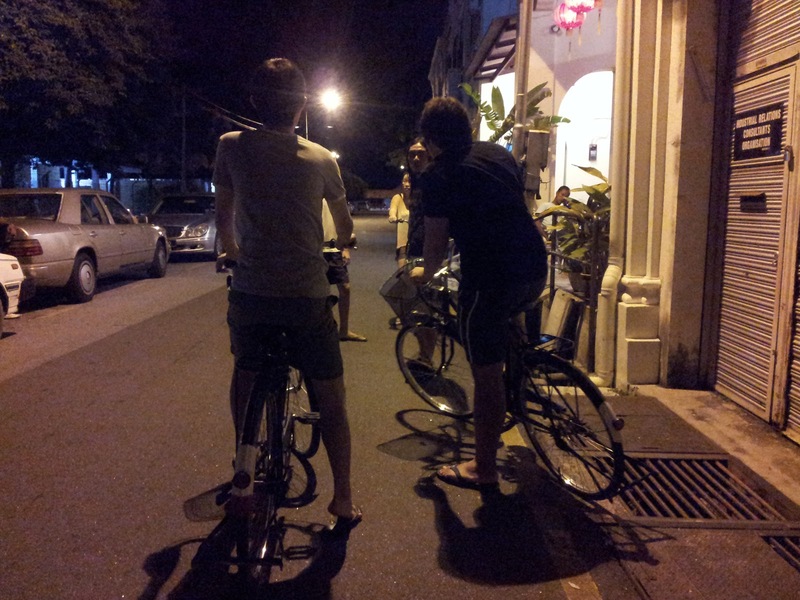 Through My Eyes: Night Cycling. 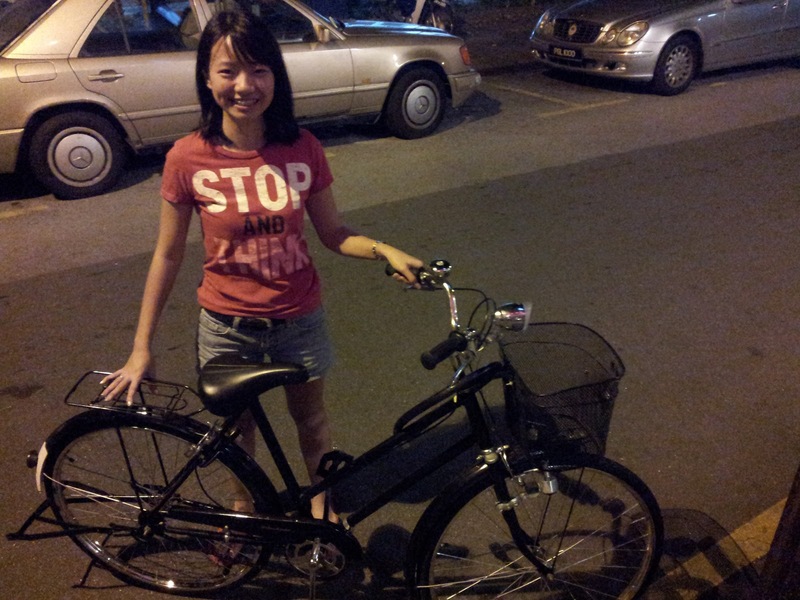 It's been so so long ever since I ride a bicycle. 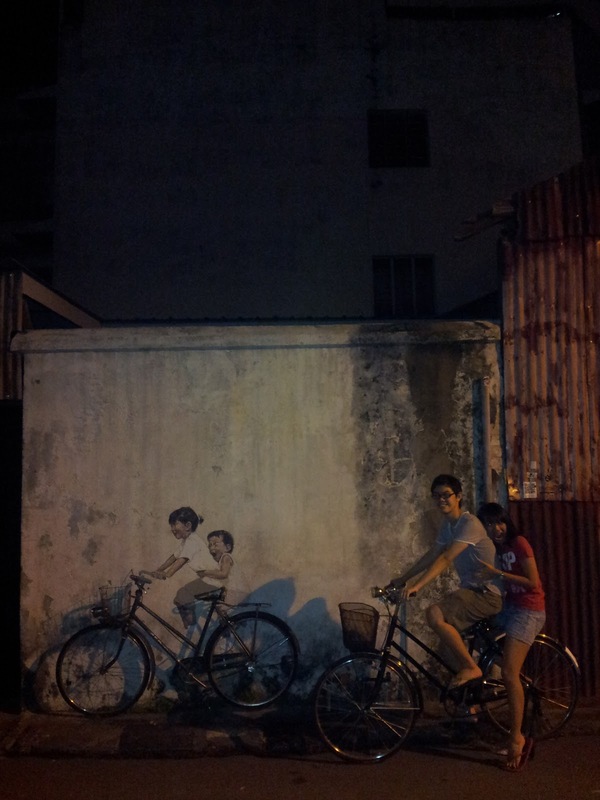 The last memory that I had was me cycling around my uncle's house in Lip Sin. That incident where I crashed and two feet landed underneath a parked car as I was doing either a U-turn or a turn (I can't remember). And I remember my big toe was bleeding and the pain was horrible! Yup, probably that's the last time I ride a bicycle. Thank God it did not rain. In fact, the weather was perfect for cycling. We all met at Logan Road and carpool-ed to Love Lane (I think that's the road's name. Either that, or it's Leith Street). The boys. One more missing in the picture because they were somewhere else, the siblings. 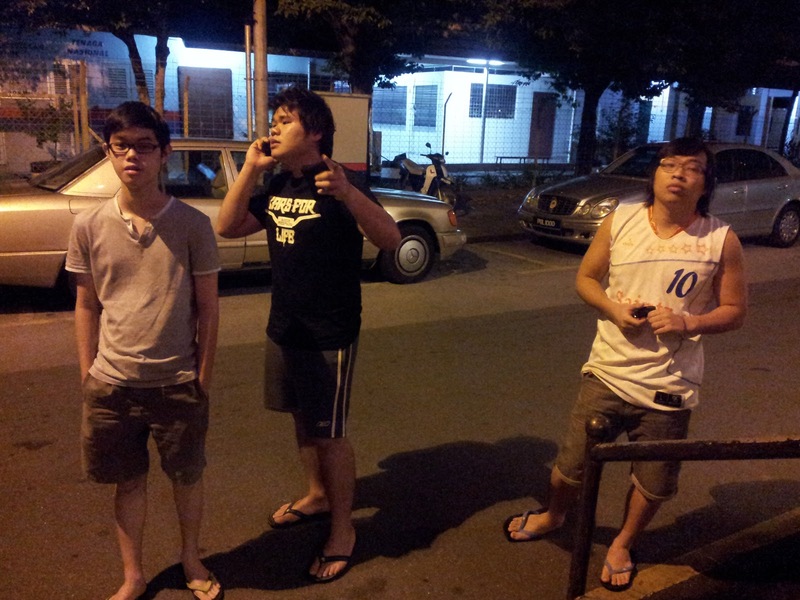 So, we kinda vained a lil while waiting for the Leows. I took the one with the lowest seat, and that my legs weren't long enough to touch the ground! Discussing on some issues. 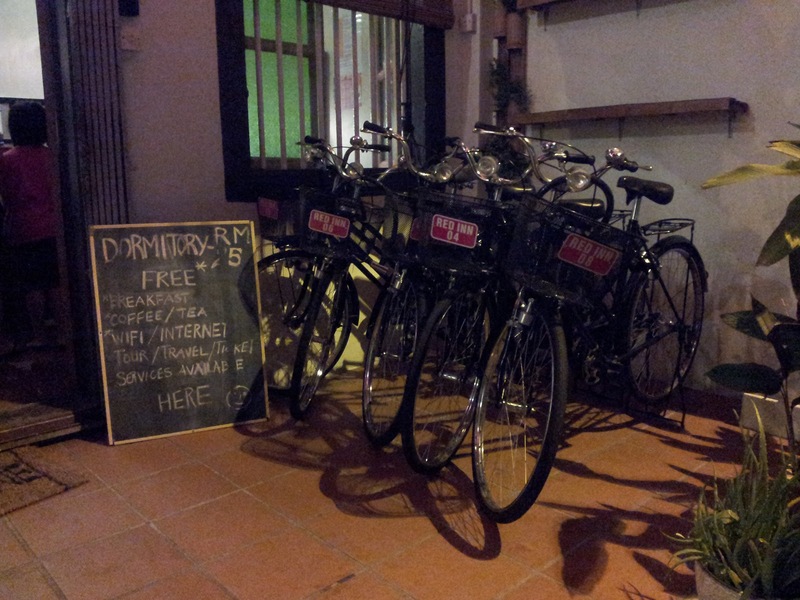 (cos we had to rent the other bicycle from another 'branch' which is not very far away). 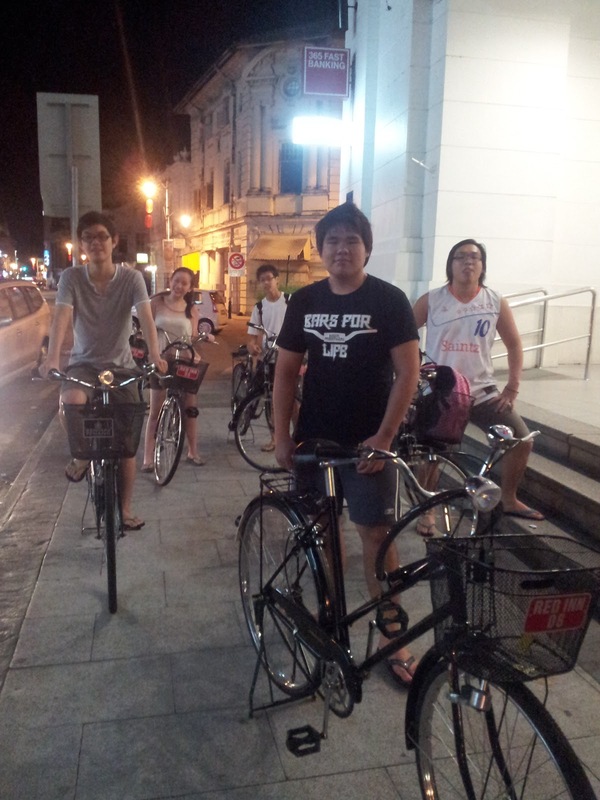 Quick stop outside CIMB Bank. 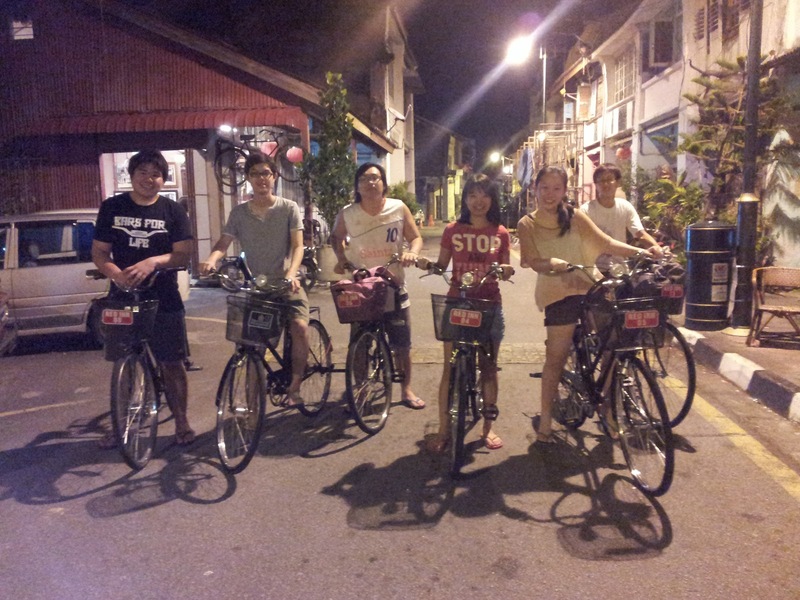 It's so nice to cycle around at 11pm onwards cos there were less cars and less humans. How can we not drop by the place where everyone talks about in facebook. My first time of being here actually and taking a picture of it of course. 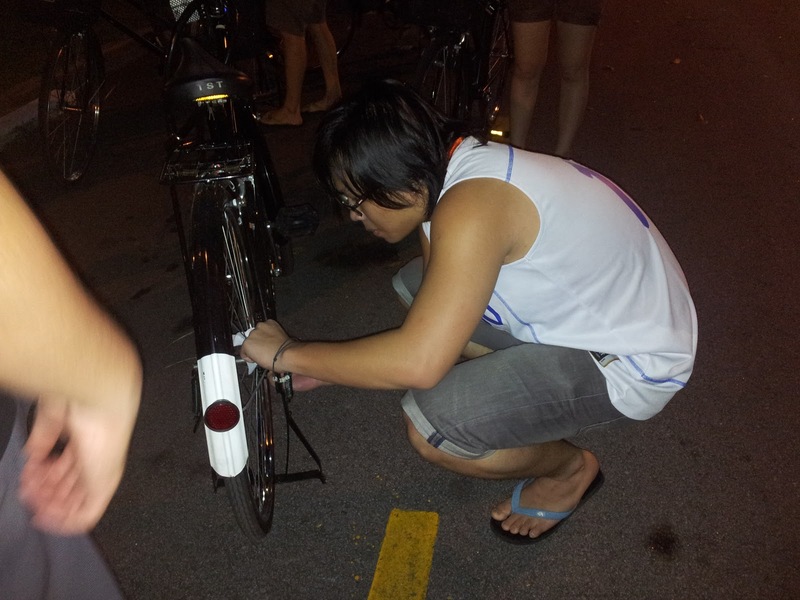 Cycled halfway, my chain-thing straight come out. 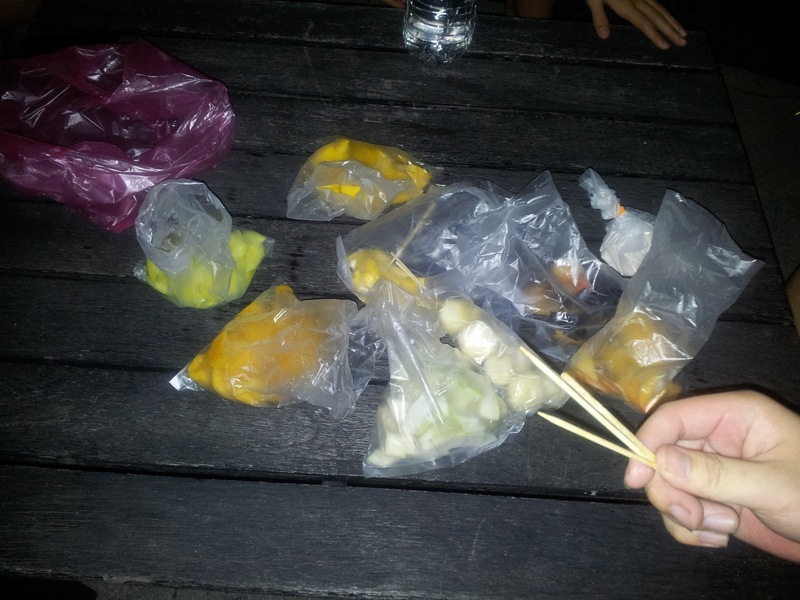 And then we had RM27 worth of fruits, bought in Esplanade. Mahal betul. Pre supper for us. 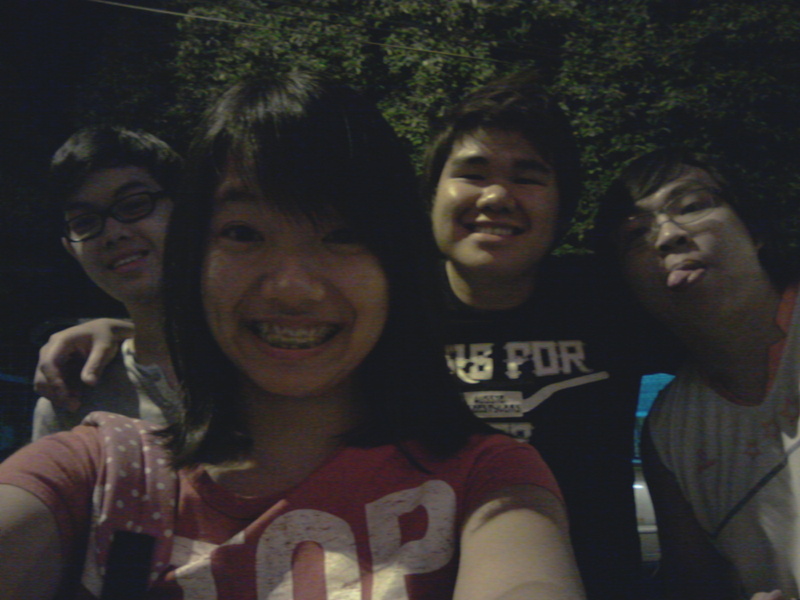 After that, we went to Pelita and we ate rice! Cycle for one two hours straight got so hungry! Haha. White Water Rafting at Gopeng.